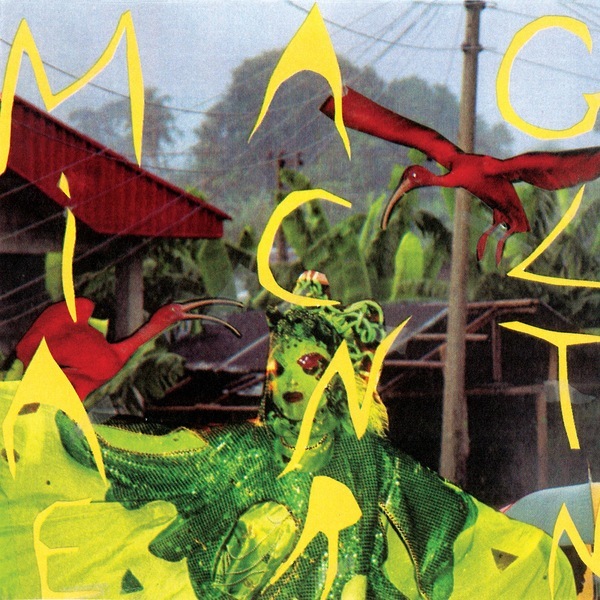 A reissue of Magic Lantern's 2007 CD-R debut, this eponymous release captures the raw psyche-frazzling energy of Magic Lantern, whose High Beams album (released through Not Not Fun) impressed last year. Beginning with 'At The Mountains Of Madness' the group start up with some witchy forest-folk style looping and tranced out drone that builds and builds until a fiery, thumping mono-chord wig out opens up with plenty of overdriven rock & roll firepower. More meditative pieces are on the agenda too - with 'Gateway's nine minutes proving especially impressive - perhaps bringing to mind Acid Mothers Temple on a comedown, but this is a band that can overload the senses in an instant. The bonus track here, 'Banyan Shrine' proves especially good in this respect, building up to strobing tremolo guitars and rattling organ flurries.